Photographed on a sunny Georgia day were three bicyclists who had embarked on a morning bicycle ride. 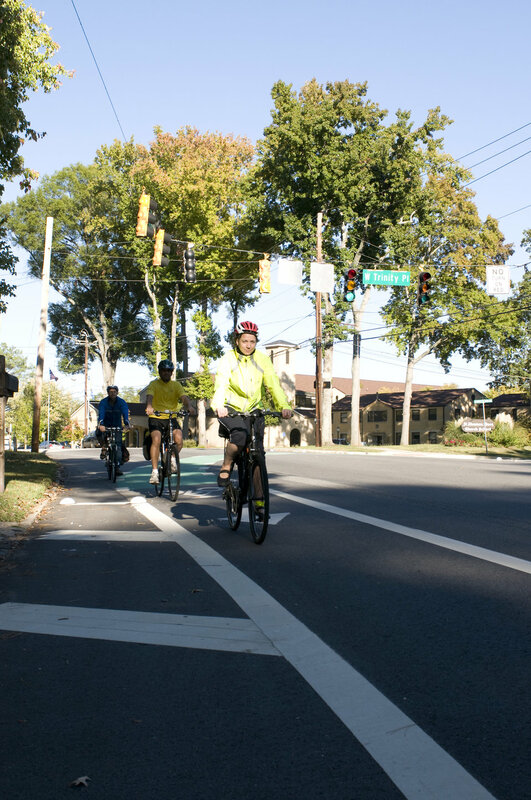 Note the brightly-colored clothing they were wearing, which would help drivers see them more easily, as well as the protective, aerodynamic helmets, and the snug leggings, all adding to an overall safer bike ride for all. Also important, is that they were riding in the designated bicycle traffic lane, and abiding by the proper rules of the road, which govern drivers of both bicycles, and motorized vehicles.